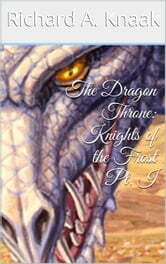 Return to the Dragonrealm in this new saga! The wizard Cabe Bedlam seeks only a balance between family and duty, but even as he comes to grips with his children's questionable choices, an old enemy begins to swarm in the desolated Northern Wastes. Yet, it is not the rise of a new Aramite empire that most threatens Cabe and his allies, but the even darker evil guiding its advance, an evil with a particular interest in the wizard and his past. The Dragon Throne returns longtime readers to the popular world created by New York Times and USA Today Bestselling Author Richard A. Knaak in a tale that will also introduce to new readers the myriad and fascinating characters that have captured an audience for nearly twenty years!